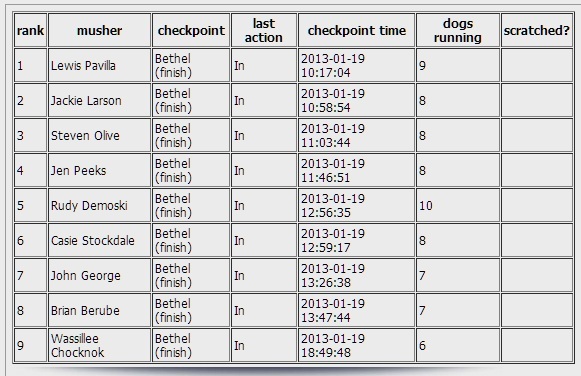 WAIPA IN REAL LIFE: 2013 KUSKOKWIM 300 DOG RACE - RESULTS & EXTRAS!!! 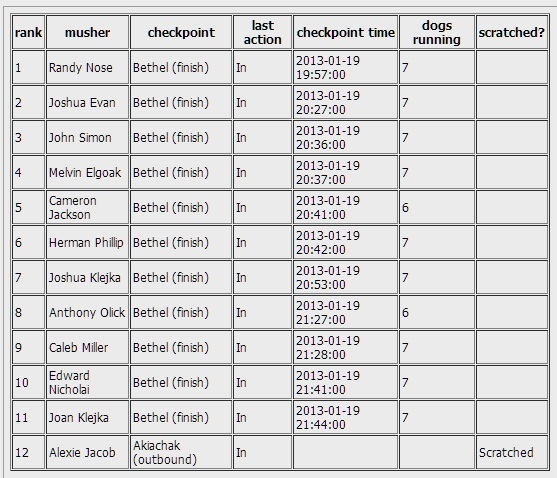 HERE ARE A FEW MORE THINGS FROM MY RECENT FUN ADVENTURE WITH THE "KUSKOKWIM 300 DOG RACE" EVENT. 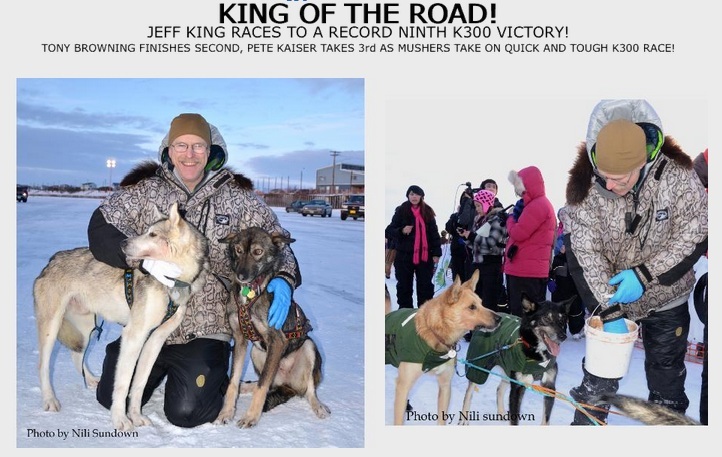 CONGRATS TO ALL THE "AWWWESOME" DOG MUSHERS AND THEIR TOUGH DRIVEN DOGS THAT MADE THE "K-300" AN UNFORGETTABLE AND MEMORABLE EVENT FOR ALL OF US TO BE PART OF!!! 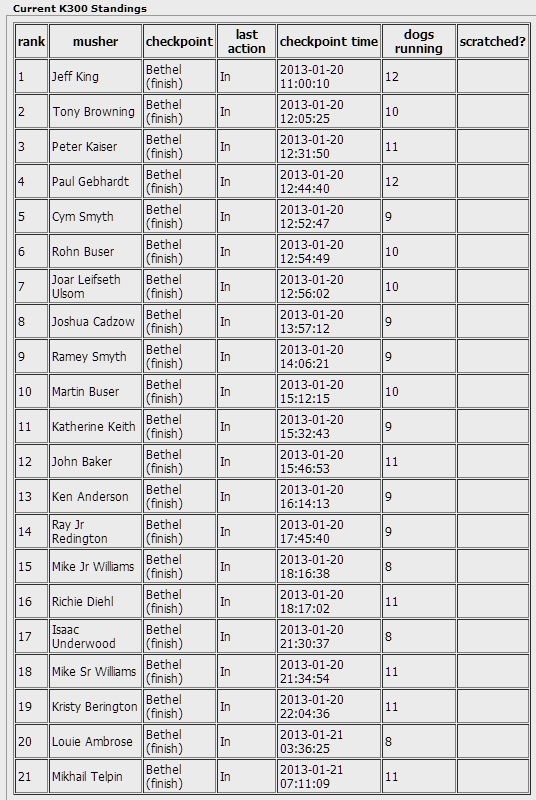 ANOTHER UPDATE ON "TEAM RAMEY SMYTH", RAMEY CAME IN ON 9TH PLACE!!! AND ANOTHER UPDATE ON "TEAM JOHN SIMON", JOHN CAME IN ON 3RD PLACE!!! I'D LIKE TO PERSONALLY THANK THE BOTH OF YOU FOR ALLOWING ME TO BE PART OF YOUR TEAMS ON 2 SEPARATE RACES!!! I WILL FOREVER REMEMBER THIS EVENT AS I FELT VERY CLOSE AND PART OF YOU FOLKS. WHEN NEXT YEAR COMES AROUND... "I'M IN!!!" YOU BOTH KNOW WHERE TO FIND ME!!! "BECCA MOORE" FROM "TEAM RAMEY SMYTH"
I HOPE ALL OF YOU ENJOYED THIS EVENT AS I DID!!! LOVE & ALOHA TO ALL MY OHANA, HOALOHA, & FANS OF www.brandonwaipa.com FROM ALL OVER THE WORLD!! !